A man suspected of stealing a custom-made vest from a stuffed bear was arrested on Saturday morning in Portland, Oregon. The bear in question is a nearly life-sized stuffed animal that stands guard over the Mont Bell store in downtown Portland. 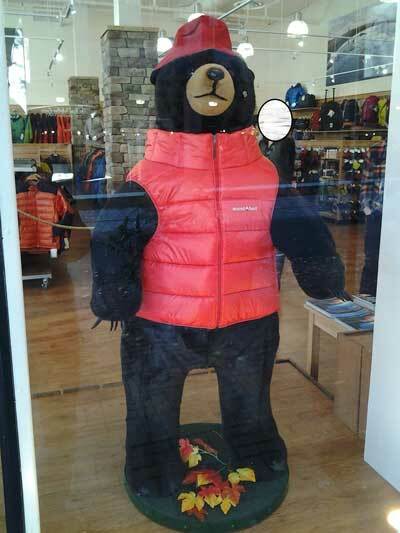 It wears a bright-red vest, specially made to fit the bear's wide girth and thick neck. But the bear was naked on Friday night, after 35-year-old Migual Farnca allegedly took the vest and walked off with it, according to Portland police. Farnca is 6 feet tall with a slim build. He was spotted walking across the Ross Island Bridge just before 10am on Saturday, wearing the vest. Officers arrested Farnca shortly after. 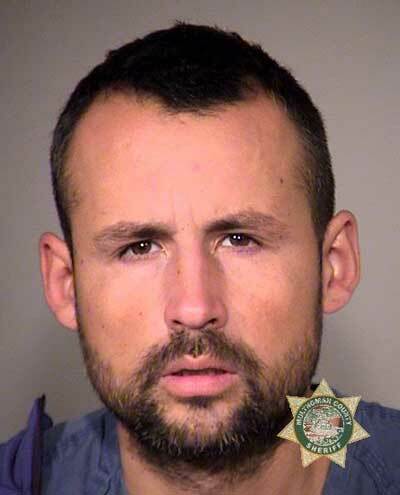 He was booked into Multnomah County Jail and charged with theft. The bear, meanwhile, is once again wearing the vest.